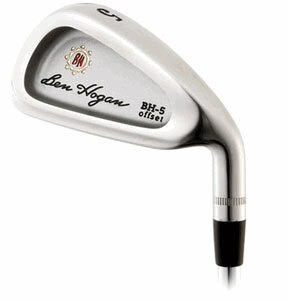 Introducing the new Ben Hogan BH-5 irons, the first fully cast stainless steel irons in the Ben Hogan product line. 17-4 Stainless steel cast construction with extreme perimeter weight design provides maximum playability, control and forgiveness. Ben Hogan BH-5 Irons...Who Said You Can't Buy Forgiveness?